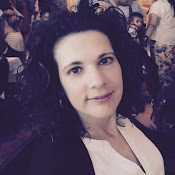 Thanks to the many teachers who have been following the blog and connecting with me through email, Facebook and Twitter! It's been so exciting to hear your ideas regarding our classroom and practice and learn from yours as well! I had a few emails regarding how we engage children in authentic, meaningful writing during our play time. I have decided to answer these questions in a blog post in case others are wondering the same. 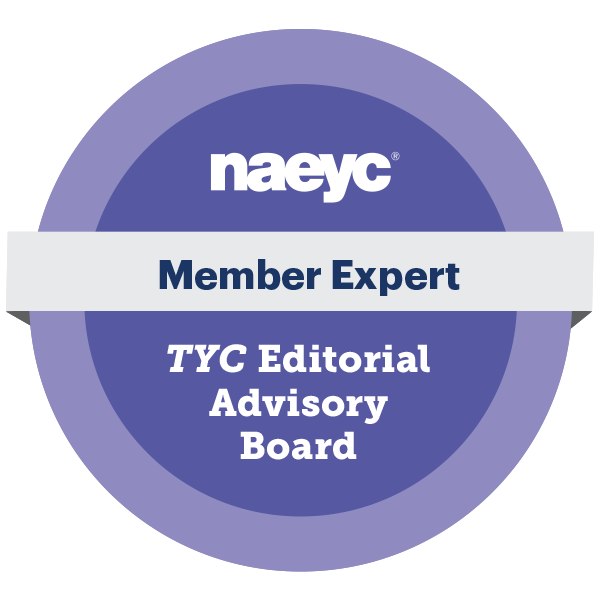 I look forward to receiving more of your questions and will do my best to answer them - deannapecaskimclennan@yahoo.ca or @McLennan1977. Writing and drawing are important parts of math thinking and consolidation because these are effective ways for children to communicate and share their mathematical thinking with others. 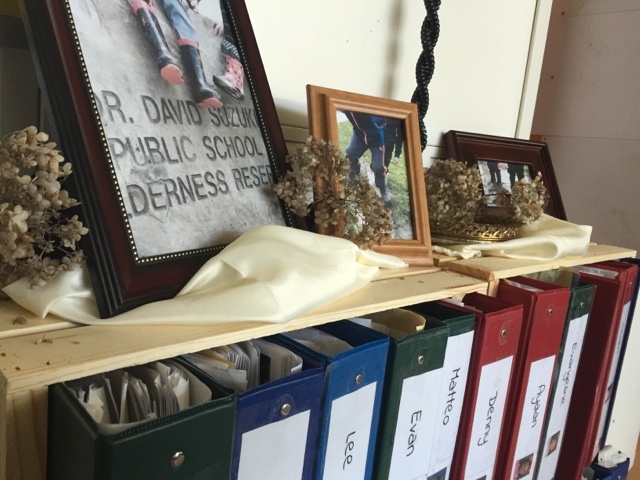 In our room each child has his or her own clipboard and these are displayed together on the back of our book shelf. 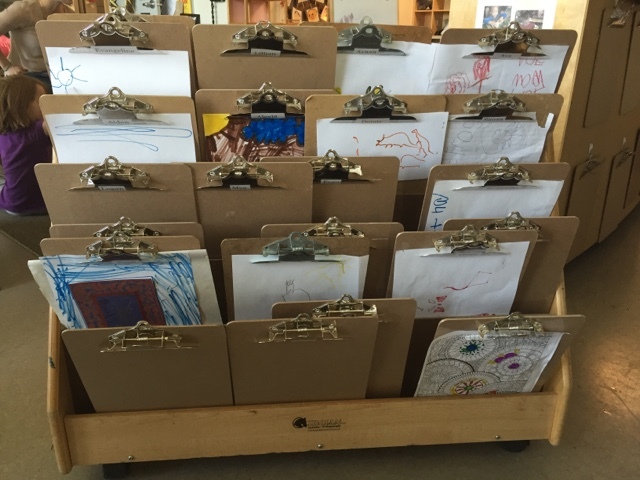 Children are encouraged to chose a piece of drawing or writing that they are proud of and put it on the clipboard for display. 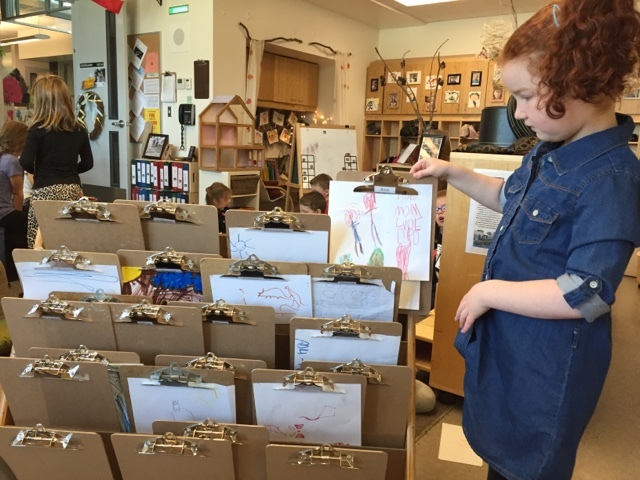 It's easy for the educators in the room to see which child has selected a piece of writing for display, and who might still need encouragement to do so. 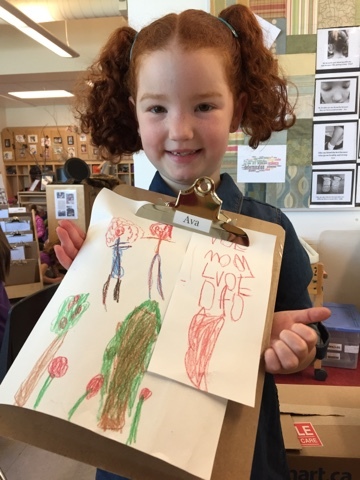 Once a child has decided to display a different piece of writing, the paper is removed from the clipboard and added to a child's learning portfolio.